Dr. Martin Luther King Jr. believed it was possible to change the world with peaceful protest. His powerful words and actions helped the civil rights movement achieve many great changes. His incredible leadership is still remembered and celebrated today. 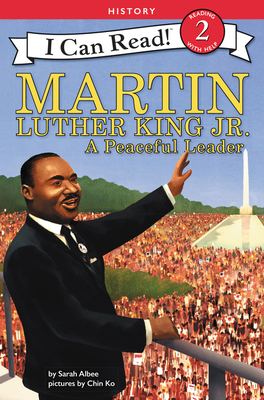 Beginning readers will learn about the milestones in Martin Luther King Jr.’s life in this Level Two I Can Read biography, which combines a traditional, illustrated narrative with historical photographs at the back of book—complete with a timeline, illustrations, and interesting facts. Chin Ko is a production designer, visual-development artist, illustrator, and entrepreneur. His work has helped bring to life many animated shorts, feature films, and video games. He is based in Los Angeles, where he lives with his lovely wife and their new child.